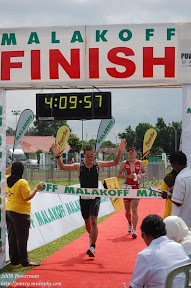 55 days to AVIVA Ironman 70.3 Singapore. Total training time are still below average. I can't wait for my 13 days holidays starting early February, then I can start the training. Hopefully it wouldn't rain the whole day for the next 13 days so that I can do my training either in the morning or afternoon or both.